Marketing Automation and Lead Conversion, All in One Plugin. Inbound Brew provides a WordPress inbound marketing plugin, offering SEO and content marketing tools, completely free! 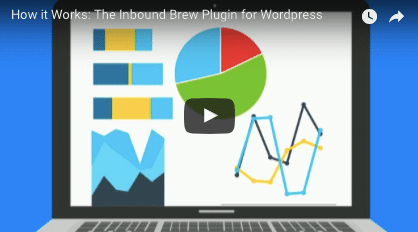 Discover how the Inbound Brew Plugin works in less than 2 minutes. Visit wordpress.com/plugins and search “Inbound Brew Plugin” to download the freemium version today! BrandingSmart Marketing for Small Business Owners… Now What?